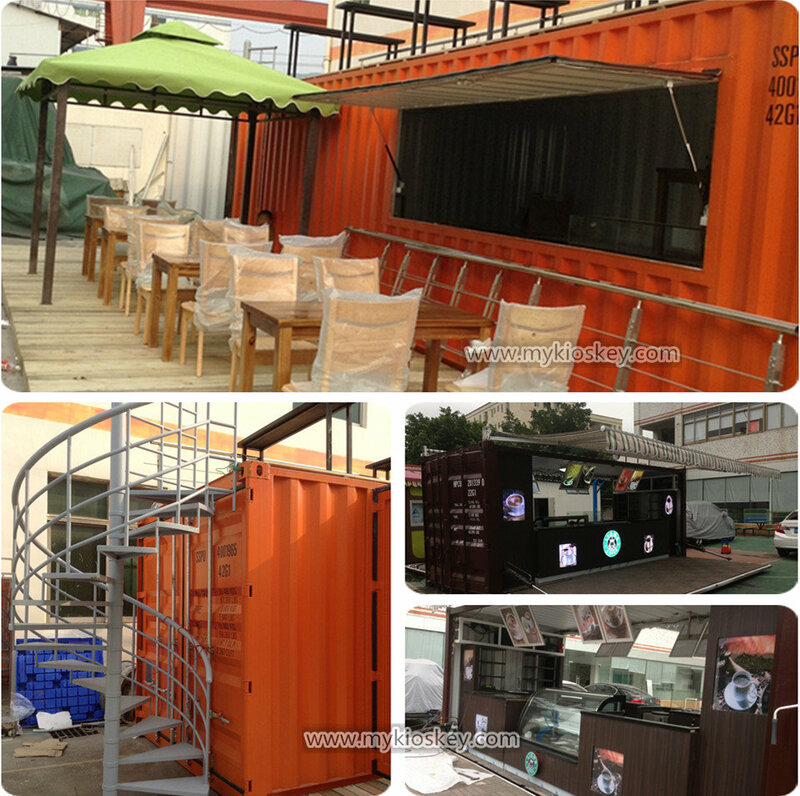 With the progress of the times, container shop is more and more popular all over the world . 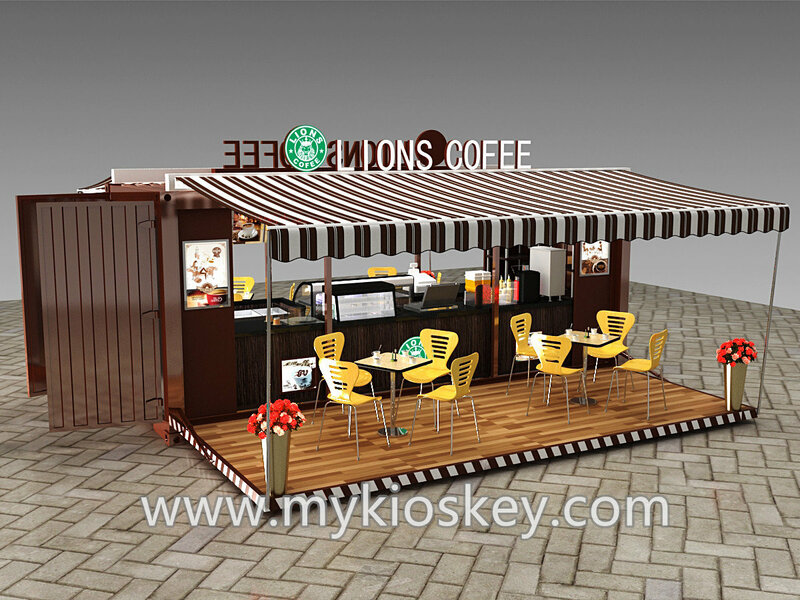 this type container shop mainly location in street , beach and outdoor space . mainly for display and selling all kinds of snack ，Soft Drinks, fast food and more . 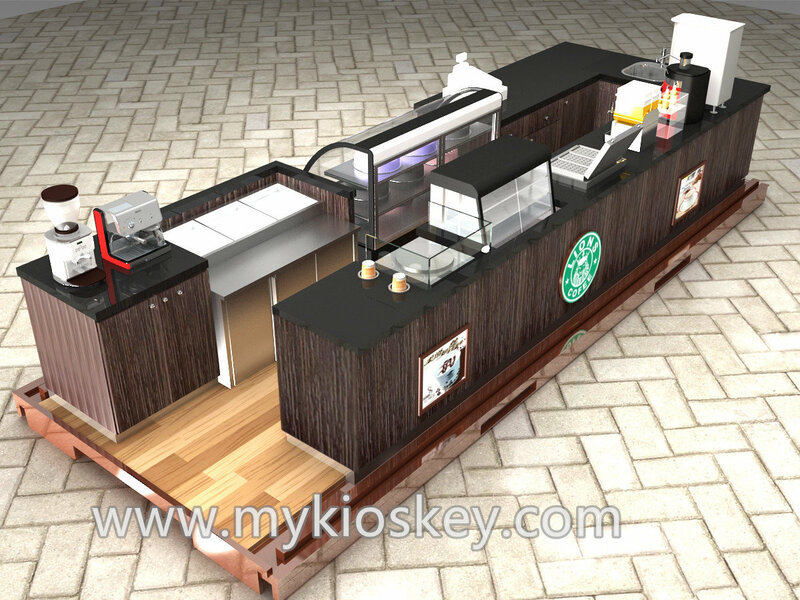 This is a 20GP container coffee shop , mainly for selling coffee , dessert and juice . basic color is brown , two sides with hydraulic pressure opening . Very comfortable seating area with wooden floor and sunshade . Inside with two sides 5700mm length wooden counter. 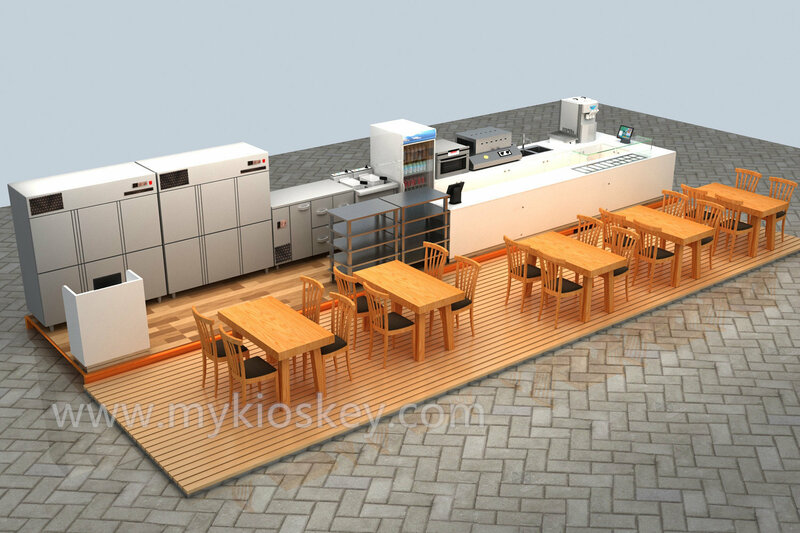 basic material is plywood, surface is wood grain fire proof panel , inside with space for cake display fridge , coffee machine ，juice machine , refrigerated counter etc . reserve machine space internally . I believe that when you first see this container food shop , you will be deeply attracted to it. whole shop is very high end and graceful ，Use orange as the main tone, with a little white and green , high-end atmosphere ,it’s very eye-catching . whole container shop can for selling fast food , snack etc . front part opening a big window and menu list . Mainly used for ordering food . Next to each other is a row of seats . you will notice the shop left sides with a special spiral stair. With a circle of fence , Very ingenious use of the second floor space added a lot of seating areas . Let’s take a look inside the shop , front part is a preparation table . back sides mainly for put some equipment , sink and some storage area，the left sides is a big refrigerated counter. Near the door is a small cash register . Some real production photos for your views . Container coffee shop advantages . Easy to move , portable. sun-proof, Corrosion resistance and rust resistance . 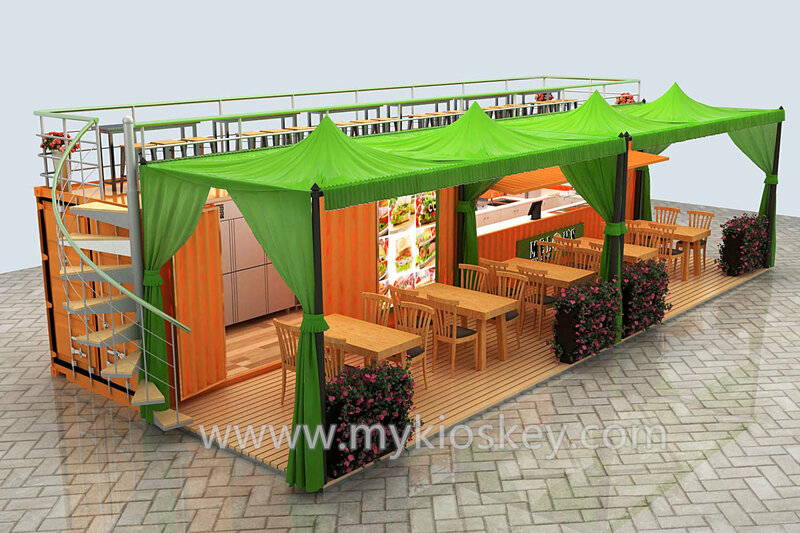 Thanks for your time and reading , If you plan start your own outdoor container shop business or want build a mobile outdoor food shop , get more information, Please do not hesitate to contact us . thank you !